Second place winner with her llama in an America themed outfit. Llamas and alpacas are in the camelid family, but they have a few key differences. Llamas have banana-shaped ears, hair, and are larger animals. Alpacas have straight, pointed ears, wool, and are smaller. 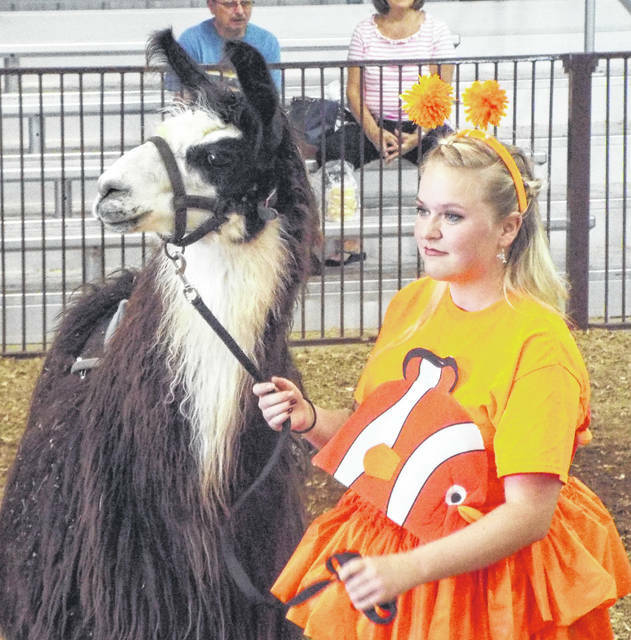 Natalie Jones | Greene County News The Camelid Fun Show featured five participants with their llamas and alpacas dressed up. Each participant had their own, original outfit idea. The first place winner featured a Hippie themed outfit. The Camelid Fun Show featured five participants with their llamas and alpacas dressed up. Each participant had their own, original outfit idea. The first place winner featured a Hippie themed outfit. 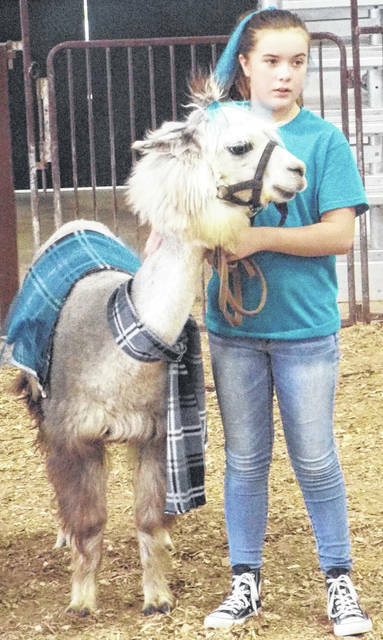 https://www.fairborndailyherald.com/wp-content/uploads/sites/50/2018/08/web1_camelid01.jpgSecond place winner with her llama in an America themed outfit. Llamas and alpacas are in the camelid family, but they have a few key differences. Llamas have banana-shaped ears, hair, and are larger animals. Alpacas have straight, pointed ears, wool, and are smaller. 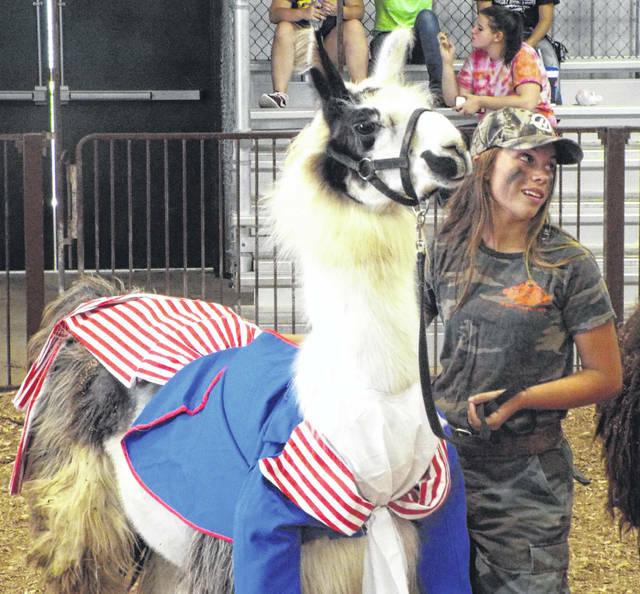 https://www.fairborndailyherald.com/wp-content/uploads/sites/50/2018/08/web1_camelid02.jpgSecond place winner with her llama in an America themed outfit. Llamas and alpacas are in the camelid family, but they have a few key differences. Llamas have banana-shaped ears, hair, and are larger animals. Alpacas have straight, pointed ears, wool, and are smaller. 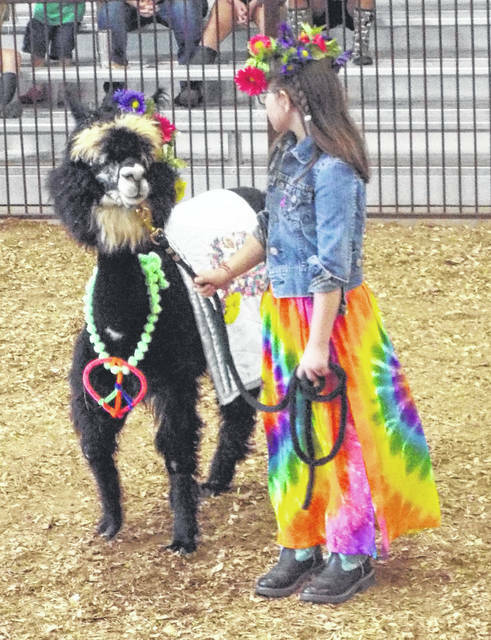 https://www.fairborndailyherald.com/wp-content/uploads/sites/50/2018/08/web1_camelid03.jpgNatalie Jones | Greene County News The Camelid Fun Show featured five participants with their llamas and alpacas dressed up. Each participant had their own, original outfit idea. The first place winner featured a Hippie themed outfit. https://www.fairborndailyherald.com/wp-content/uploads/sites/50/2018/08/web1_camelid04.jpgNatalie Jones | Greene County News The Camelid Fun Show featured five participants with their llamas and alpacas dressed up. Each participant had their own, original outfit idea. The first place winner featured a Hippie themed outfit.